To communicate with the officers, please send an e-mail to aja-officers@googlegroups.com. * The above email address only reaches to AJA officers. 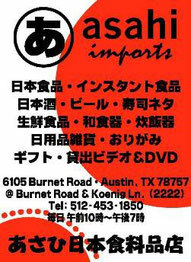 So, if you want to share information among AJA members, please send an e-mail to austin-japan-association@googlegroups.com. ※Please Note: If an inquiry are found to be for profit of any groups or individuals, or irrelevant to our activities, we may not reply to the inquiry.